Are you a skilled worker who wishes to immigrate to Canada? 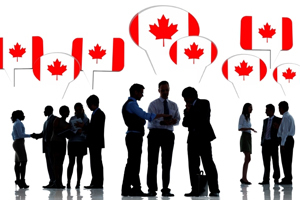 Canada Federal Skilled Worker Program is a flexible option for any individual who wish to migrate to Canada. With the intention to draw more skilled immigrants the government has framed many Canada skilled immigration programs out of which Canada Federal Skilled Worker (FSW) Program gained huge response among prospective skilled migrants. Canada FSW applicants will be chosen based on the ability to settle and contribute to the economic growth upon immigration to Canada. In addition to all these, Canada FSW applicants must qualify in point’s grid system set by the Citizenship and Immigration Canada's (CIC). Applicants of Canada FSW will have to score 67 points out of 100 points against the aforesaid factors in Canada FSW point’s calculator. Applicants along with their dependants of Canada Federal Skilled Worker must comply with medical examinations and security clearances as part of the Canadian immigration application process.